Welcome to students in the Davidson Honors College! We in the Davidson Honors College are delighted that you have elected to spend your college years with us, and we shall do our best to make them stimulating and profitable ones. As a member of the Davidson Honors College, you will pursue an intensive Honors curriculum within a larger research university. 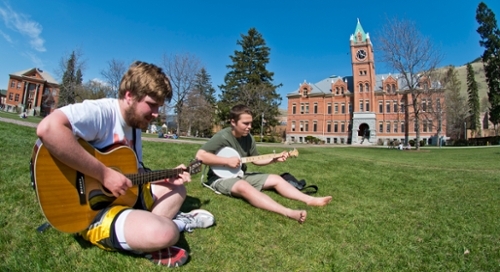 While you will be part of a small college of about 700 students, all of whom excel in academics, you will also be part of the University of Montana student body of almost 14,000 from wonderfully diverse geographic and cultural backgrounds. Explore this website to learn more about the remarkable educational opportunities available to students in the Davidson Honors College.